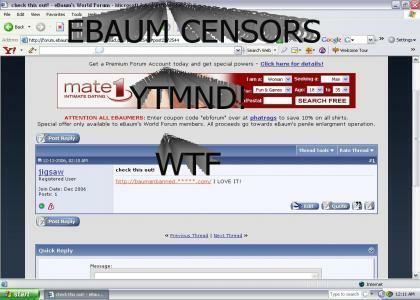 I tried to post a link from YTMND on to ebaums world forums. It blanked out ytmnd. I know this is stupid but this is my first site. yeah, but what's a good ytmnder doing there in the first place? Thats funny, he also eats poop.